The Hampton Inn and Suites Milwaukee WI is the landmark choice for downtown Milwaukee hotels and provides lodging accommodations in the heart of downtown Milwaukee*s business entertainment and cultural district. 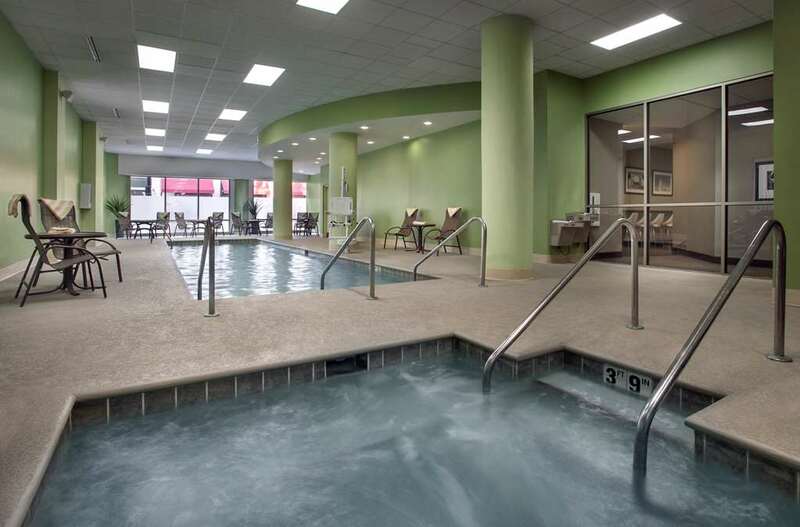 This downtown Milwaukee WI hotel is an upscale property with a beautiful exterior trendy lobby and spacious guest rooms with generous amenities. The staff of the property is committed to providing their guests with the highest quality accommodations and customer service at great rates. Earn your Hilton Honors points while staying with us. We are located within walking distance to many downtown attractions restaurants and places of historic significance. We love having you here at the Hampton Inn and Suites Hotel in Milwaukee Wisconsin.